One of Thailand’s best known holiday destinations, Phuket is indeed a magnet for tourists, which may put off some more independent travellers. However, you shouldn’t be too easily dissuaded from visiting, as there are many good reasons for the island being so popular. The greatest attraction for all are the beaches, and the island certainly has more than its fair share of fabulous swathes of golden sand, which can easily compete with any around the world. But even so, you can still find some idyllic corners of the island with quiet beaches and beautiful turquoise waters, just as the brochures describe them. The underwater world surrounding the island should not be missed either: there are some beautiful coral reefs, home to tropical fish of various kinds, providing some excellent snorkelling and diving opportunities. It’s not all sun, sea and sand, however. Phuket Town has some fascinating temples and attractive Chinese colonial buildings as well as lively markets and interesting shops. To get back to nature, you can walk through virgin rainforest in Khao Phra Thaeo National Park. And all this within a couple of hours from the beach. Phuket is easily accessible via a bridge from the mainland. 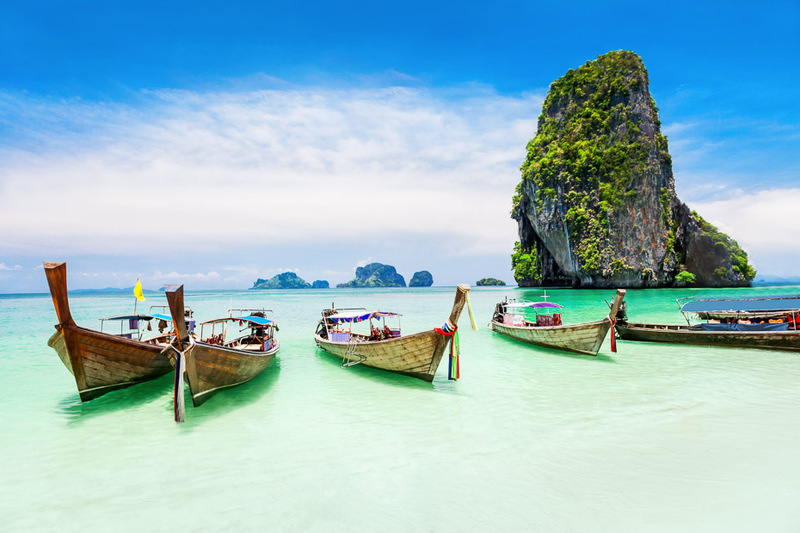 If you want to venture further afield during your stay, there are numerous possibilities for day trips to nearby islands such as beautiful Koh Phi Phi or Phang Nga Bay, making it the ideal destination for doing as much or as little as you want.